Our NOSA (National Optometric Student Association) chapter at the UIW Rosenberg School of Optometry organized its 2nd Annual Multicultural event today. The event was made possible through generous support from Bausch & Lomb and Walmart. Students and staff members came forth and put together beautiful tables to represent their ethnicity, religions and cultures. Representatives at different booths presented posters, artwork, facts and various beautiful and symbolic items from their individual cultures. The attendees had the opportunity to walk around and visit the tables, ask questions and learn about different cultures and their traditions. This year we had booths about India, Hinduism, Germany, Greece, Thailand, Japan, Vietnam, China, Iran, Pakistan, Judaism, Christianity, Islam, Baha’i, Mexico, Canada, Guatemala, and Spain. 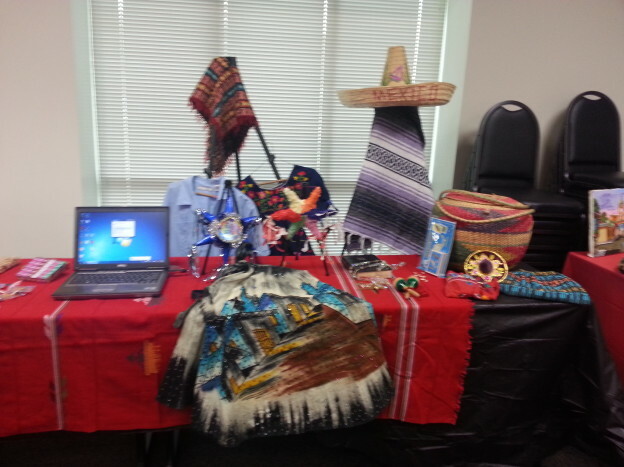 All the representatives had an excellent presentation to highlight their cultures and traditions. To top it all, all the representatives even presented us with delicious foods from their countries and cultures. My personal favorite were the Buneulos (I think thats how you spell it?) which are crispy Mexican snacks, made at special events like Christmas, birthdays, etc. UIWRSO has always celebrated the diversity that is represented by its students and this event was no different. This event was definitely culturally enriching and an incredible learning experience to all those who attended. Last year’s event was a tremendous success but this year’s event may have managed to top it. All the volunteers and representatives put in a lot of hard work and effort to make this event a lot of fun!! !